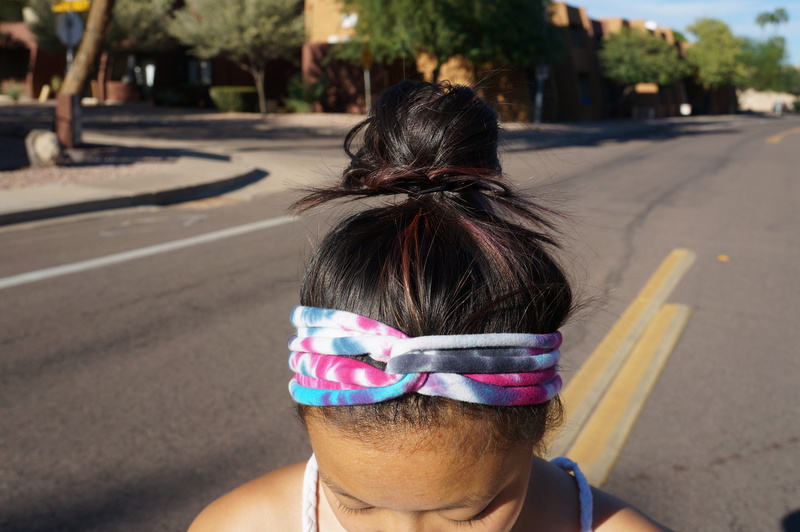 Use an old T-Shirt into a cute head wrap with this easy DIY! And there’s no sewing required. This is a great way to put your old t-shirts to good use and save money. 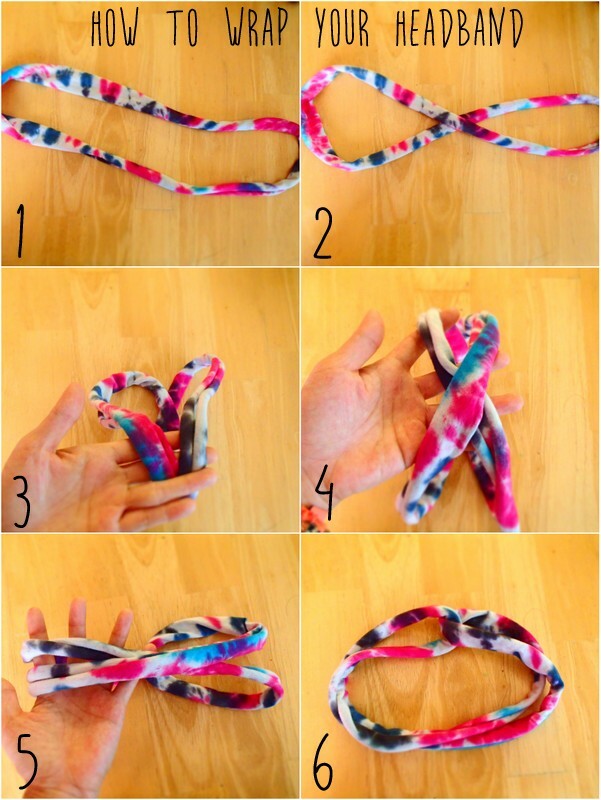 Plus, it only takes a few minutes to make! 1. Layout your shirt on a flat surface and cut off a wide strip from the bottom (I first cut off the seem so the edges were the same). 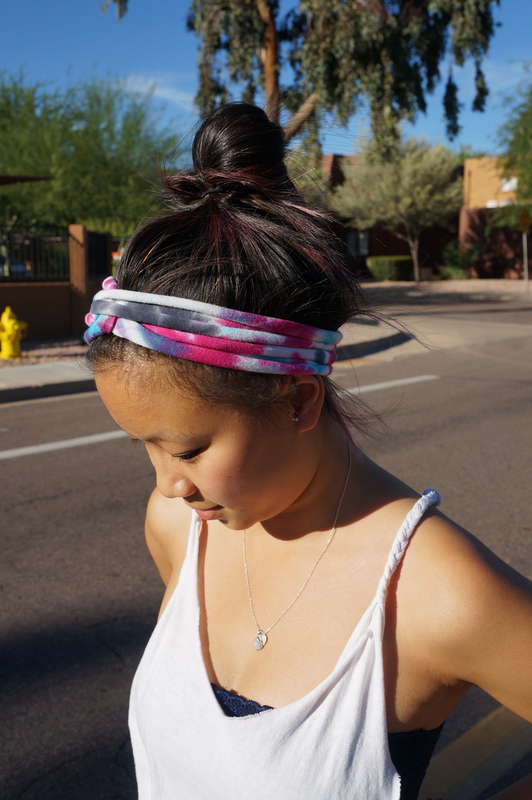 The wideness of your strip will depend on how wide you want your headband to be. Since I have a fairly small head, I cut my strip about 4 inches wide. 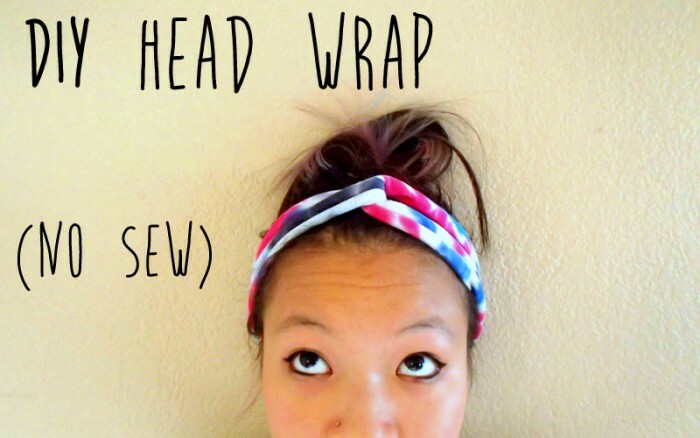 There you have it – your very own head wrap! I ended up making a few for myself since I had a couple old shirts lying around with funky patterns. I love wearing these with dresses for a boho look, or on lazy days when I don’t want to deal with my hair (which, let’s be honest, is everyday).